Foiling and slapping on graphics are among the hottest trends in car customization this year based on the automotive display at the 2010 Manila Auto Salon. Aside from personal expression, Filipino car enthusiasts are also seen to consider economics when it comes to styling their cars, said Tradeshow International president Sophie de los Santos. 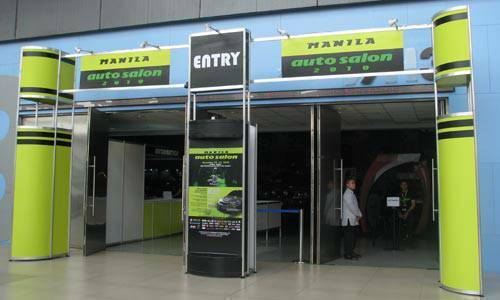 Tradeshow International is the organizer of the Manila Auto Salon. 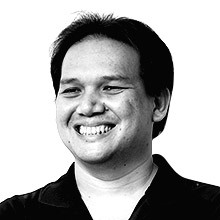 "Foiling is cheaper than painting a car and when the person gets tired, he just has to peel it off and put on a different foil for a different color," de los Santos said. "When it comes to commercialization graphics, because of economic hardship, people are resorting to turning their cars into rolling billboards." De los Santos also observed that more and more car enthusiasts are upgrading their vehicle's sound system. "It's still the cheaper way to modify for car owners," she added. The best of customized and restored cars are currently on display at the Manila Auto Salon, which opened today. Aftermarket automotive enthusiasts have until November 21 to check out the show at the SMX Convention Center, SM Mall of Asia Complex in Pasay City. Like in the previous Manila Auto Salon events, the A-Toy Bodykits booth is one of the largest display areas on the floor. This year, A-Toy Bodykits has at least 14 project cars on display, the highlight of which is the shop's conversion of a Nissan Skyline R33 into the so-called "R35" GT-R. Also on display is A-Toy Bodykits' proprietor Atoy Llave's DC/Rockstar Drift Car which is a Nissan Cefiro converted to look like a four-door Nissan Skyline R34 and equipped with a 1JZGTE twin-turbo engine from a Toyota Supra. Another highlight in this year's show is a 1928 Graham-Paige along with Herman and Cande Zapp, who will share their story on how they and their children traveled--and are still traveling--around the world from Argentina to Alaska in the 82-year old vintage car. The Manila Auto Salon may be all about aftermarket products but this doesn't stop car manufacturers from coming up with the best displays. Mini Philippines, for instance, is showing off a Mini Cooper Laurel Edition, which combines the Mini's sporty components with accessories that evoke classic British styling cues. Two-wheeled enthusiasts also have a place in the show, thanks to the special display of motorcycles by Ducati Philippines and of the bicycles from the Terry Larrazabal Bike Festival.